These beginner-friendly courses will teach you coding basics. Spanning more than 70 hours of professional instruction, this collection is designed to take you from beginner to expert with several coding staples. You'll explore development tools, like HTML, CSS, PHP, and Bootstrap. Plus, you'll even get concrete experience as you follow along an e-commerce project and build a fully optimised webpage from scratch. 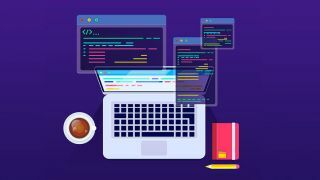 While the Complete Learn to Code Masterclass Bundle usually retails for $1,370, you can get it on sale today for only $39, saving 97 per cent off the usual price.